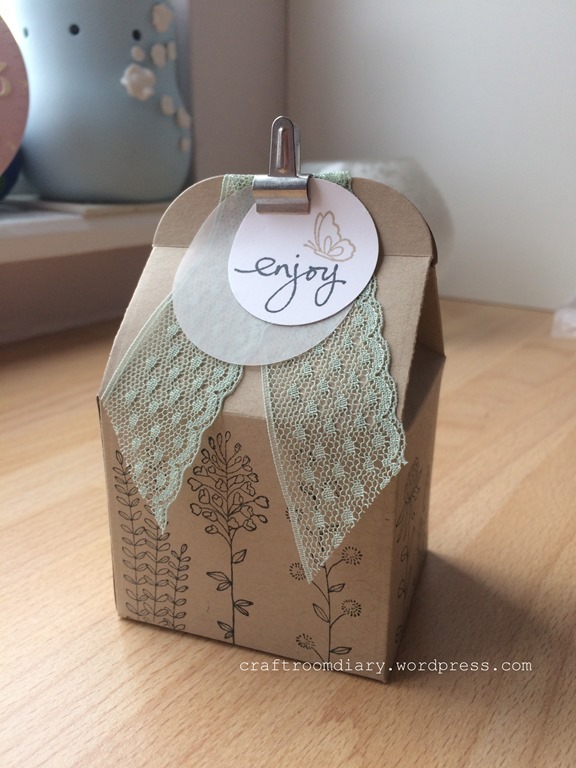 Today i am sharing a treat box that i made to fill with sweets. I kept it very simple; it is a bakers box die cut in crumb cake and stamped in black ink. I topped it off with some mint lace ribbon and a circle of vellum and card stock with the greeting on. To hold the box closed i used a tiny bull dog clip that i found in my stash.